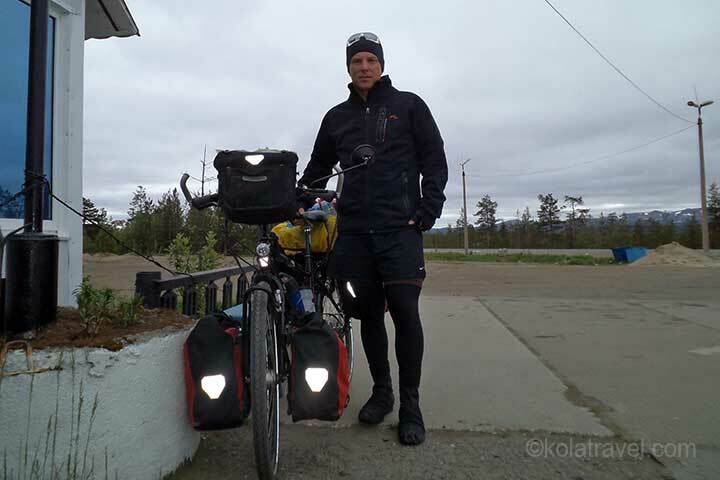 Biking tour along the White Sea with guide! 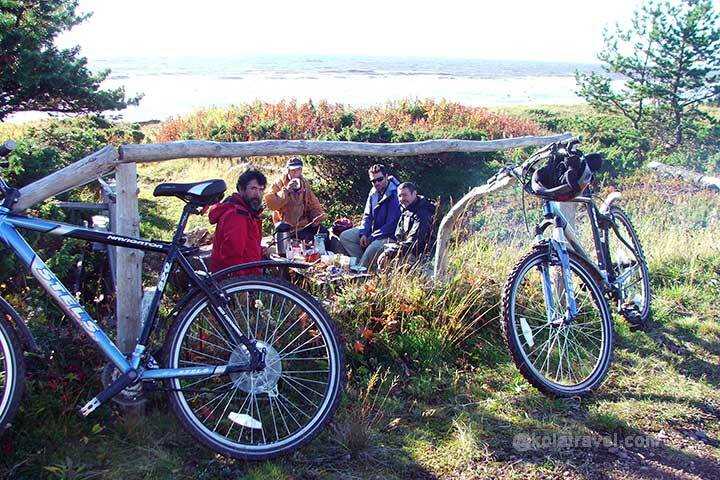 This biking tour is for the adventurous cyclists who want to enjoy the northern nature and culture. 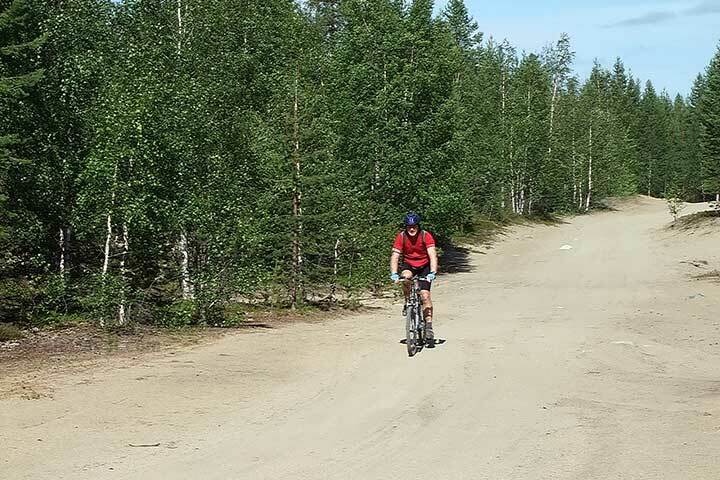 The biking tour follows the old road from village Umba along several fishing villages to the pearl fisher"s village called Varzuga, situated on the river Varzuga, 140 km from Umba. This is also the length of the tour. 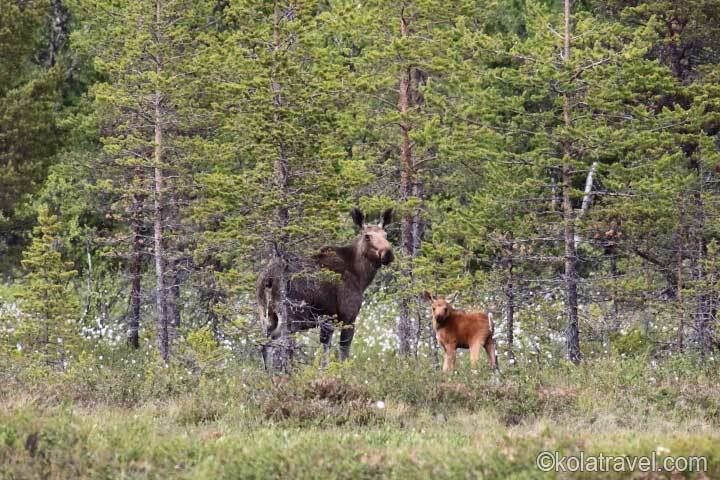 You will get acquainted with the life of the Pomeranians; the fishing Saami with their own fishing culture of southern Lapland. You can try the famous White Sea herring, specially cooked the traditional way in a pan in its own juice. 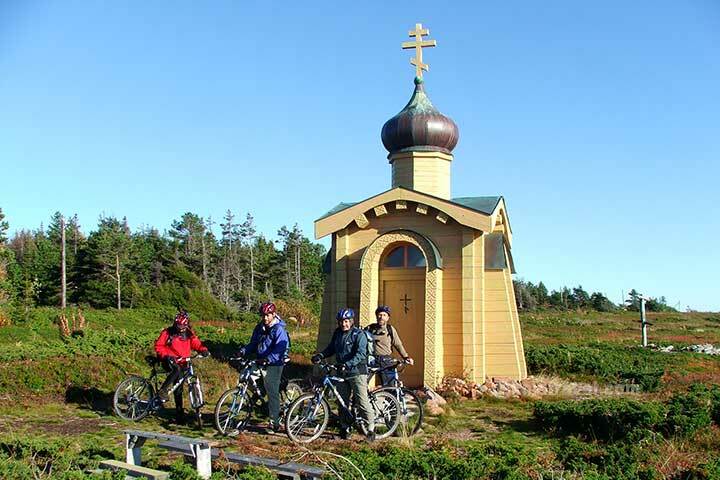 During biking tour you will visit the historical museum in Umba, outdoor museum of fishermen Saami, the chapel of the unknown monk and beautiful Uspenskaya stave church in Varzuga. 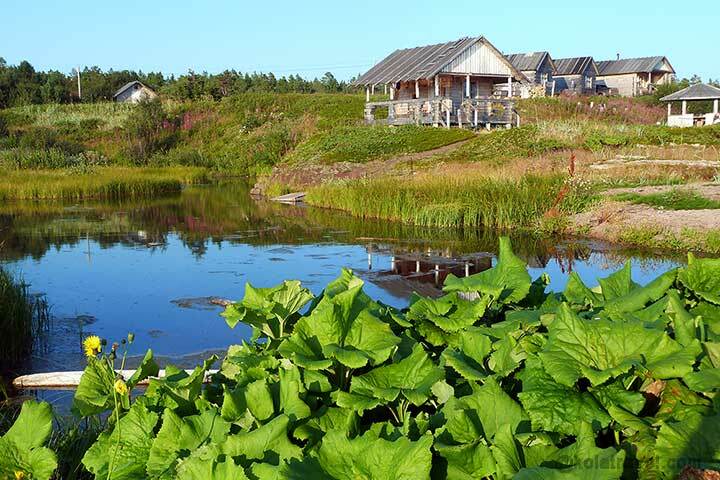 Accommodation is in tents along the White Sea Coast, cottages and guest houses in villages Umba and Varzuga. 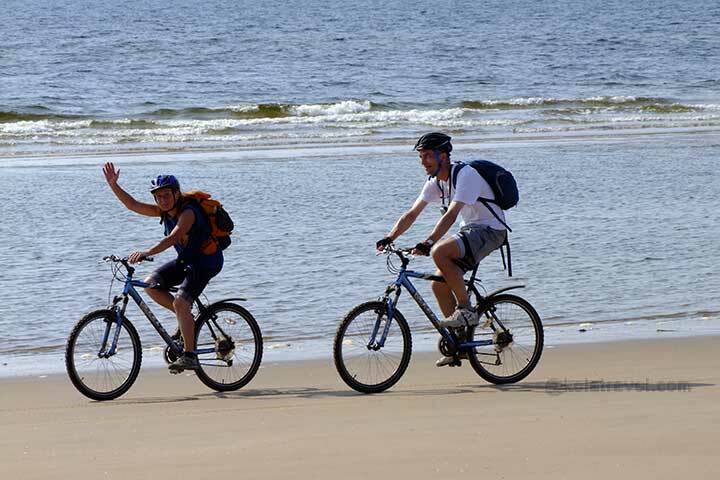 The luggage is transported by car and you will be accompanied by a guide on a bike. During the biking tour all meals are included. Welcome to Kola Peninsula under de non-setting sun! Day 1. 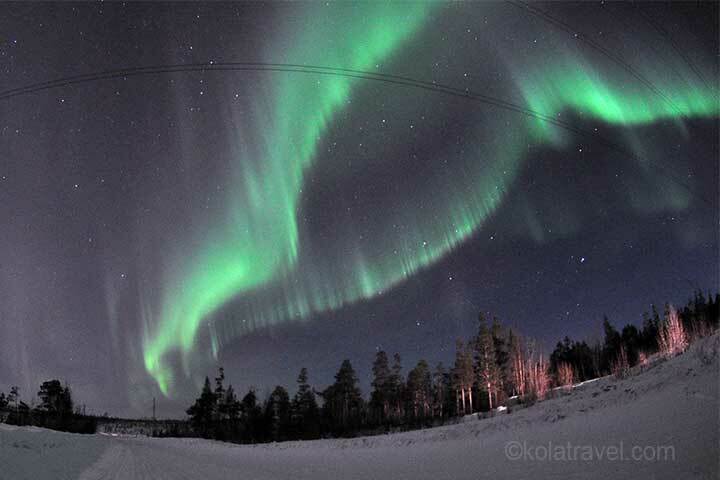 Start from Murmansk, or from Finnish territory or arrive in Kandalaksha by train. 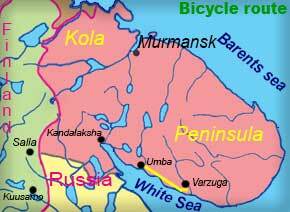 Kandalaksha is the most south city behind the Polar Circle. 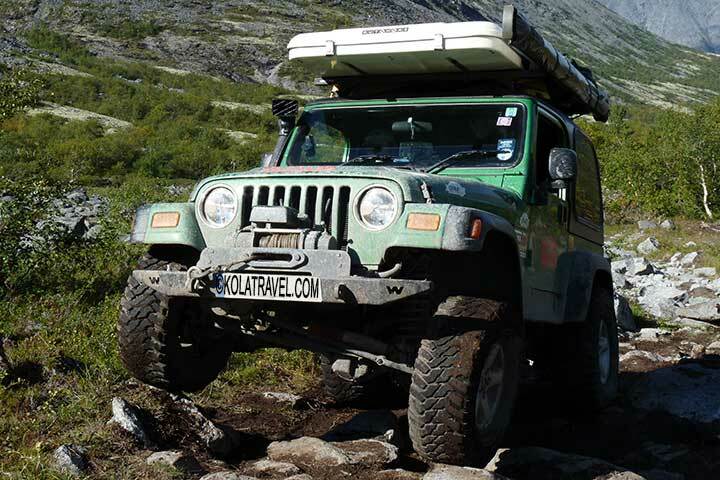 A guide will pick you up and drive by an off-road vehicle to the remote village named Umba on the White Sea shore. Free time to adjust bicycle or look arround or fish in Umba river. In the evening sauna, dinner and overnight in a country wooden house. Day 2. After breakfast we start biking via asfalt road in direction of Varzuga. After 10 km on a forest road along the coast of the White Sea to an Pomor open air museum. Lunch in open air at museum. 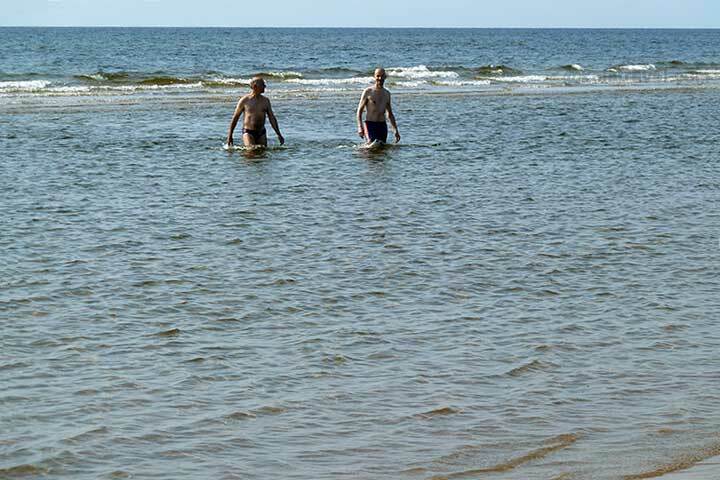 After we continue biking via plentiful nature of the White sea. In the evening we have a campfire dinner and overnight in tents close to the mouth of Olenitsa Spring on the sea shore. Biking distance: 10 km asphalt, 60 km of forest road. Day 3. After breakfast we bike to Kashkarantsy - one of old Pomor villages. After we take a field road leading along the sea shore and being amazing beautiful. On the shore there is a Chapel of the "Unknown Monk" the story of whom comes from the XIII century. Lunch at the sea. Later we reach Amethyst rock on the Cape Ship; a long cape coming deeply to the sea. It consists of Amethyst rock and we can easily find there, as they say, Amethyst brushes; crystals of Amethyst growing on the rock. For overnight we stay in wooden houses in wilderness. Sauna. Campfire dinner. Biking distance: 60 km of forest road. Day 4. After breakfast we continue our trip and bike on the bottom of the sea along the ebb-tide. 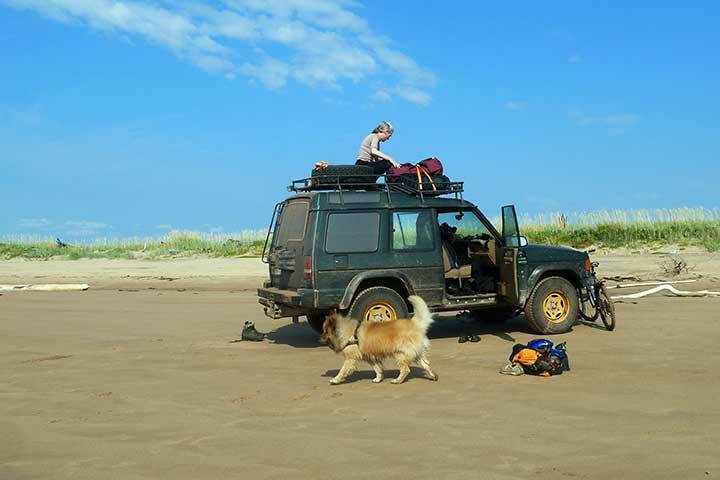 Then we will take a shore road and came to the amazing beautiful area of sandy dunes and pine trees. Wilderness lunch in the pine dunes. After lunch we bike on a forest road leading to a gravel road ended in Varzuga village. Varzuga village is the earliest settlement on the Tersky Coast of the White Sea with a famous functioning Orthodox church, build in 1674 without any single iron nail. Sauna, dinner. Overnight in a country wooden house. Biking distance: about 35 km. Day 5. After breakfast we will visit the oldest wooden church (1674) of the Kola Peninsula. Then we take a hike to watch the village walking among old wooden houses. We will be brought by boat to another side of Varzuga River and walking on wooden pavements between small cosy houses. We will make a hike to a very special place - Magic Springs in a dense forest. 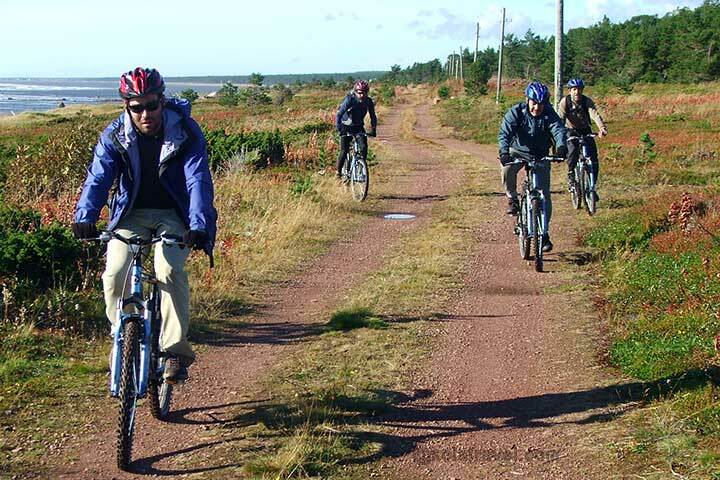 After lunch in the country house we follow the main red sand road biking to the wilderness camp on the sea shore. Sauna, campfire dinner. Overnight in the houses. Biking distance: about 20 km. Day 6. Breakfast. 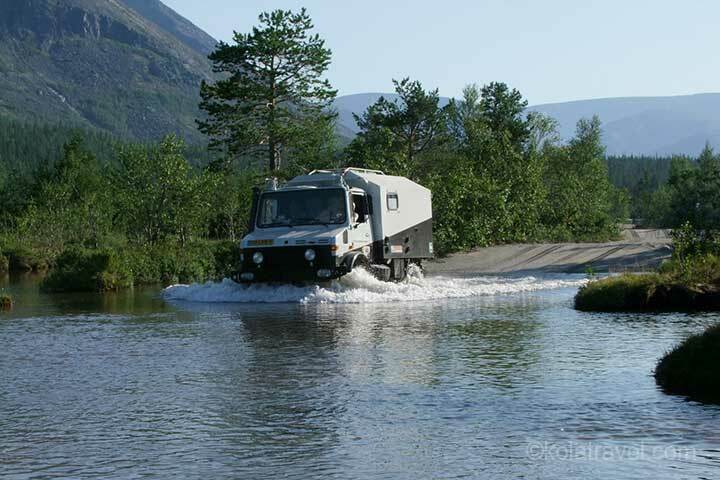 The off-road vehicle brings us back to Kandalaksha city. 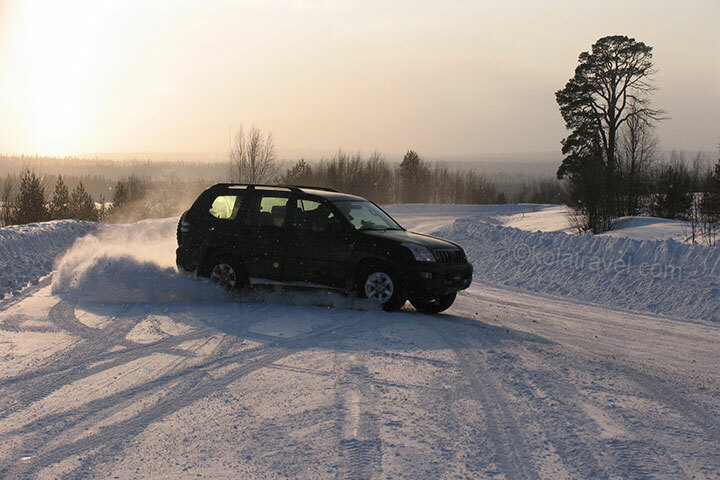 From Kandalaksha you can go to Murmansk by bus, taxi or train, to Saint-Petersburg or Moscow by train, or to Finland by bus or using our transport services. Level: The participant must have experience in long distances biking in hilly and sandy areas and must have a good condition. Knowledge about repairing bicycle on the route is preferable. 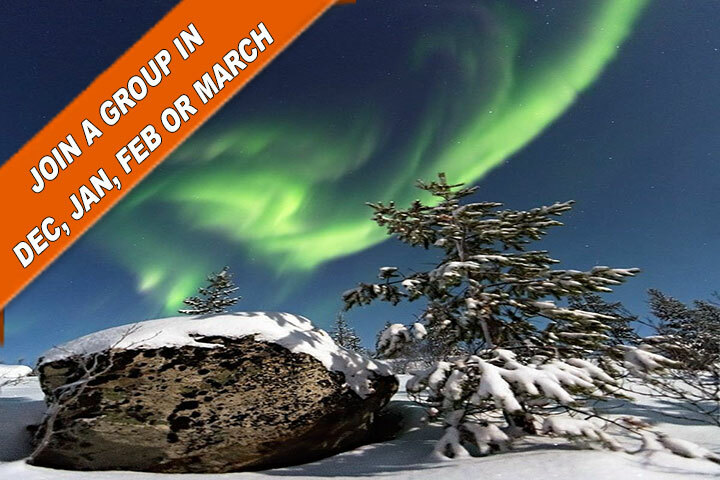 Price includes: Accommodation, mentioned meals, transfer by off-road vehicle from/to Kandalaksha city, luggage transport, experienced local guide and English interpreter, visa invitation, medical rescue insurance which includes helicopter evacuation in emergency case.